A little while back I wrote about being frozen by fear of failure when it comes to making a decision. During one of the conversations I had on Twitter, I mentioned that I had experienced something different in the past. Rather than being frozen by fear of failure, I’ve found myself being frozen by fear of success. Sounds odd, right? WHAT DOES GETTING THIS RIGHT MEAN? By nature, I tend to be a bit of a cautious person. This has its benefits, but it also has its downfalls. Being cautious can lead to a lot of missed opportunities. Although that may not bother folks (I’m usually not phased by my decisions), it can be detrimental to career growth. Remedying it isn’t easy – you don’t want to start making “shoot from the hip” decisions to try and offset this. So, what do I mean by fear of success? Say you have a big project, something that will have a real impact on your organization. On paper, getting it done and wrapped up sounds awesome, right? You’ll save or maybe generate money, and you’ll be seen as a rock star. Well, change can be scary. Large projects usually involve changing something fairly significantly. Humans are creatures of habit. We like things to be the same, so change can seem unnatural. You may start to think that having such a large impact on the business can mean a lot more responsibility. This is also a great time for Imposter Syndrome to kick in. What if this thing works out and people think you know more than you do? Parts of you may start to wonder if you personally want to see this project succeed. Other times it might be a matter of succeeding means you’ll need to shift your focus. Maybe once the new initiative is delivered you’ll need to “parent” the project. This can mean a significant change in your ongoing responsibilities. For example, maybe you’ll be responsible for managing someone for the first time. That can bring about a whole new level of distress as now you’ll be partly responsible for someone else’s career. Everyone reacts differently to change. Sometimes we may hope that a project fails just so we don’t need to manage it. This can be a form of self-sabotage, whether we realize we are doing it or not. So how do we get past this mental barrier? One simple trick I learned is to ask myself “do I want things to stay the same?”. This can be a very open-ended question and can be applied to many scenarios. Do I want my career to stay the same, and likely become stagnant? No? Then I need to keep moving ahead with new projects, goals, etc.. Do I want to keep doing these same manual tasks every week? No? Then I need to get this large project wrapped up and push it out. That sounds like some sort of quote from Darth Vader …. 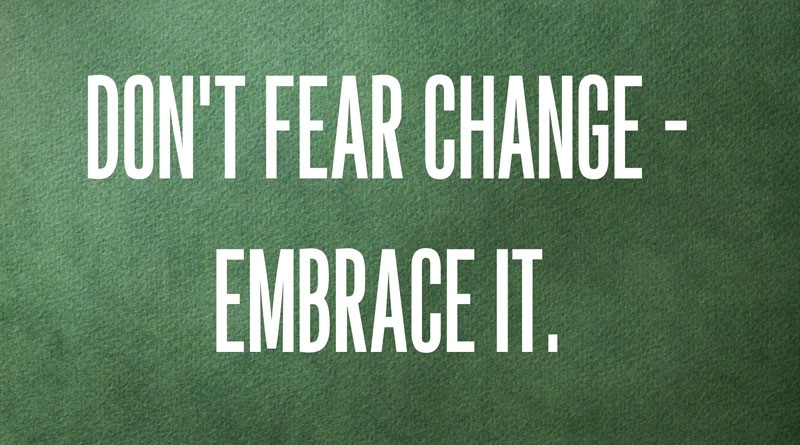 But if you are fearful of making a big change, fearful of it succeeding, I suggest embracing it. Of course, you’ll want to objectively look at the situation and make sure this seems like a good move (i.e. don’t embrace the fear of doing something stupid). Chances are it means that it is an opportunity to do something different. By extension, that is an opportunity for growth.